Experience excitement, power and control with the A3, S3 and the all-new RS3 sedan at Pfaff Audi. Designed with practicality in mind, the A3 offers streamlined user interfaces such as available MMI navigation plus and MMI touch to provide effortless vehicle operation. Its uncluttered design features soft-touch surfaces with leather and heated seating to offer comfort and style. The S3 sedan offers custom sportiness with its available five twin spoke “Star” design wheels, S sports seats, flat-bottomed leather multi-function steering wheel and sharp aluminum accents. It’s sure to get your hear racing too with its impressive 292 hp that takes you from 0 to 100 km/h in 4.6 seconds. The RS 3’s 2.5 litre, 5-cylinder engine has won International Engine of the Year for the 7th year in a row. The power of the 400 HP engine emanates from the oversized tailpipes of the all-new RS 3. As the RS 3 rockets you from 0 to 100 km/h in 4.1 seconds, there’s no questioning its racing heritage. 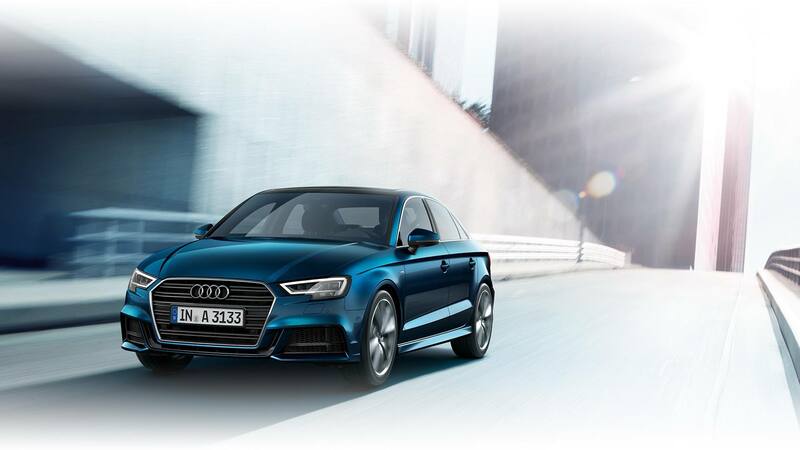 With single-frame radiator grille, Xenon plus Headlights (LED Headlights on S3), sporty air inlets and flared fenders, the A3 and S3 strikes an impression at every turn. Extra impressive is the all-new Audi RS 3. Designed to deliver the sportiest drive possible, the RS 3 has redefined what it means to be a sedan. A wider track front and rear, flared wheel arches and RS-specific front and rear bumpers ensure the car looks fast, even when it’s parked.